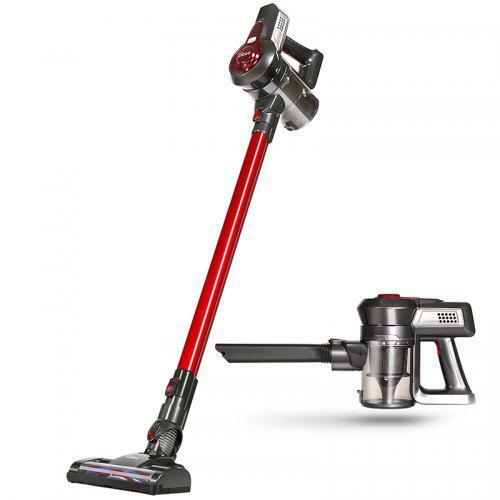 Featured with 2 additional rotary cleaning head,Dibea C17 2-in-1 Wireless Vacuum Cleaner is creatively designed to clean closer to walls and edges, under beds, sofas, kickstands, more convenient to clean the tiny slit. Carbon fiber rolling brushwithtwo speed control, it sweep all kinds of dust effectively in different occasions. 2-in-1 handheld rod provides two style vacuums in one for cleaning while the cordless design enables you to clean everywhere without tangling. With its ergonomic handle design, you can easily lift up it.